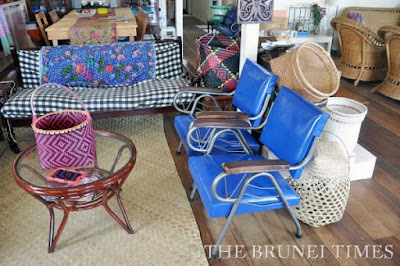 IT WAS a desire to share her beloved childhood and heritage that drove Dk Kemariah Pg Hj Duraman to open up her grandfather’s house and convert it into a cosy bed and breakfast for locals and tourists alike. 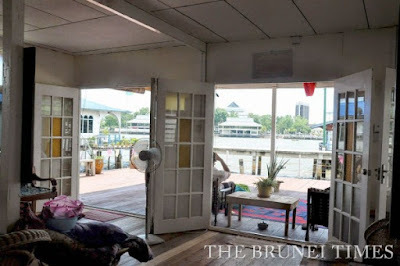 Hearing about it from a friend, I decided to pay Kunyit 7 Lodge a visit by making a short boat trip to the house, less than one minute from the Yayasan jetty in Bandar, where I met the gregarious owner of the lodge, who is also known as Kem for short. 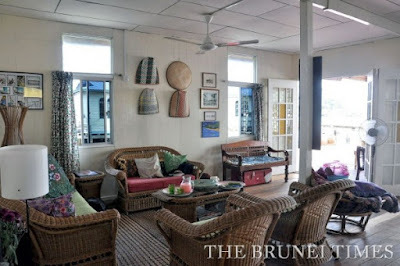 The house, located right behind the No 2 jetty of Kampung Bakut Berumput at Kampong Ayer, has a mixture of classical Bruneian architecture – there since the 1920s and was last rebuilt in 1988 – and modern with the recycled wooden furniture, the decking and the French doors. Named after her late grandfather, Pg Tujoh, which means seven in English, and the fact that he loves the spice Kunyit, or turmeric, the lodge is both a homage to her late grandfather as well as a way to keep his memory, and the memory of her childhood, alive. 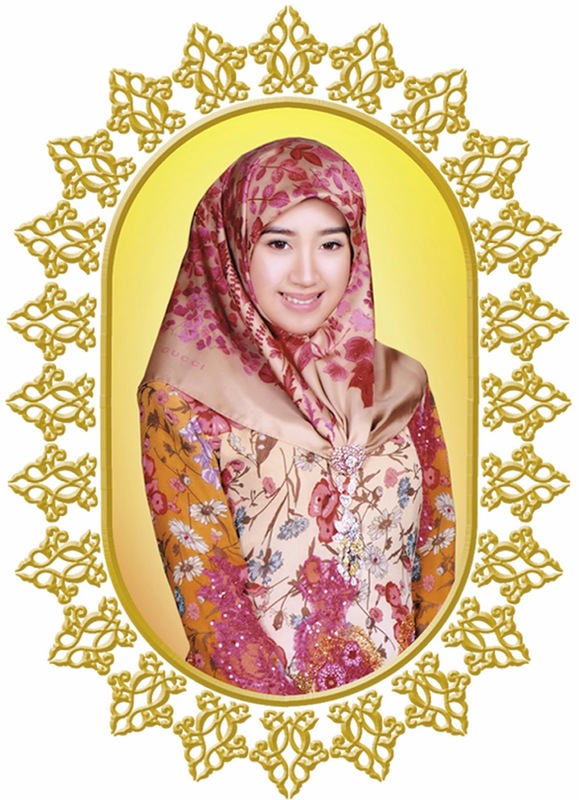 Dk Kemariah took over the house in 2014 from her uncle. Since leaving the corporate world, she decided to combine her love of meeting people with her intention of renovating the house. To that end, she made some changes to the floor plan, rebuilding the deck, or pantaran in Malay, where people can sit and chat while admiring the view of the capital, soothed by the sounds of the lapping waters on the poles of the house and punctuated by the sounds of speedboats carrying their fares, to taking down a few walls to create a larger and airier space. However, Kem has made sure that the house still retains the warmth of a home, with knick-knacks picked up from her various travels artfully arranged around the house, to making sure that there is enough wood and light in the house. When I arrived there, Kem was entertaining a vacationing couple – Francis from Spain and Yana from France – recounting stories of her childhood vacation days at her grandfather’s house. “I used to help my grandparents when I stayed here during vacations because my grandfather was blind while my grandmother was deaf,” she told me. “I have a lot of fond memories growing up here,” she added. The host also explained the various uses of the sarong, among other stories. “It is a truly multi-purpose tool. You can use it to discreetly change your clothes, cover your head, carry your baby, and so many other uses,” she said, recounting how she would always bring one or two whenever she travelled, thanks to her growing up with one. This is what she does with many of the tourists that stay at her bed and breakfast. She would talk to them, get to know each other and then share stories of living in Kampong Ayer, and share the local culture – Bruneian hospitality at its finest. Showing me around the house, I was delighted to see that many of the original furniture and fixtures of the house remained from her late grandfather’s time, as far back as 1961. The floor is the original wood, with tiny spacing in between that lets in cold air from the bottom. The high ceiling and the vents near the ceiling allows hot air to escape, so even without the use of an air conditioner, the house is cool all the time, especially with the windows and French doors open. Kem has certainly worked hard to keep the character of the house intact, only making concessions for modern plumbing and electrical appliances. She still uses family heirlooms that were used in the olden days, such as a spice jar to keep her frequently used spices, to crockery from her youth. It’s not just the simple, nostalgic, warm and homey space that makes staying at the lodge such a unique experience. It’s also the warmth of the people around the village as Kem took me for a walk around her village, sharing the history of the place and her memories, even going as far as visiting her relatives that still live around the area. “Another reason for opening the lodge is because I want to help the cottage industry of the village,” remarking that there are various industries such as the prawn cracker maker that lives not far from her house. 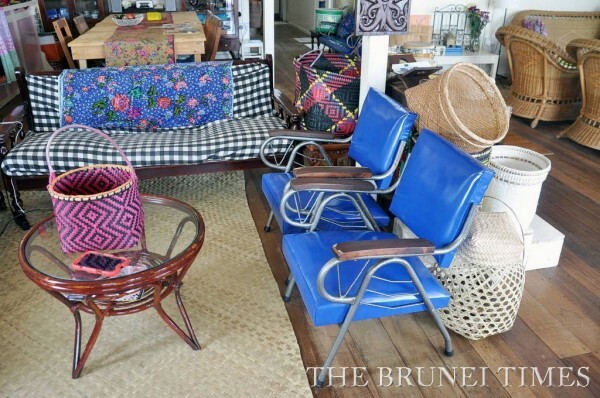 All in all, the lodge is a great bridge between the past and the culture of Kampong Ayer with the way it is now, giving tourists and locals alike, an up close and personal history of the country that many do not know of, from the perspective of one middle-aged resident. The simplicity and authenticity, its location and owner makes this lodge something truly unique and those looking to stay at the lodge or have any inquiries can contact Kem through gmail at kemariah@gmail.com. FOR over a year now, Dk Kemariah Pg Hj Duraman is enjoying her Bruneian heritage with a gorgeous view of the buzzling capital from her living room in Kampong Ayer. Some nights she steps out into her patio to bask in the glow of millions of stars. She doesn’t need an airconditioning system; there’s the sea breeze and the waves providing a soothing sound to calm the nerves. All these and more she gets to enjoy after the 28 years she spent in the corporate world. 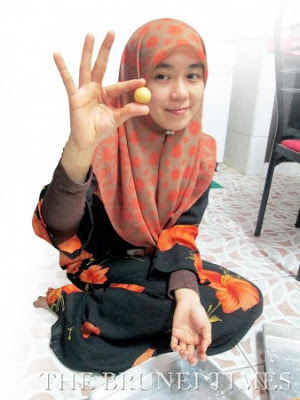 Two years ago, she gave up a well-paying job in a multinational to brave a new path and pursue a dream driven not only by her love for nature and the outdoors but also for her passion to promote Brunei’s rich cultural heritage. She put up her homestay venture Kunyit 7 Lodge. 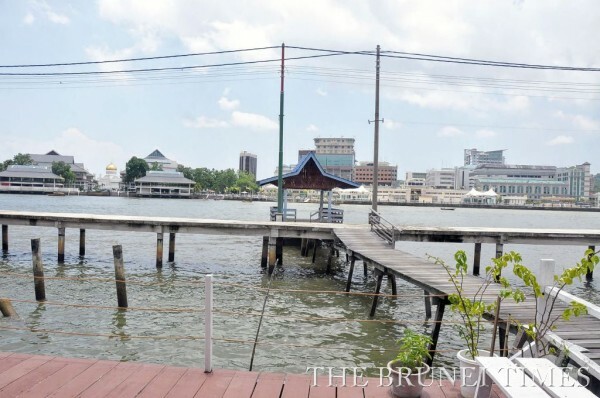 Living in Kampong Ayer now is a sweet homecoming for her. She was born in the nation’s iconic water village. As a child, she spent most of her school holidays in one of the sultanate’s best spots to view spectacular sights of sunrise and sunset. 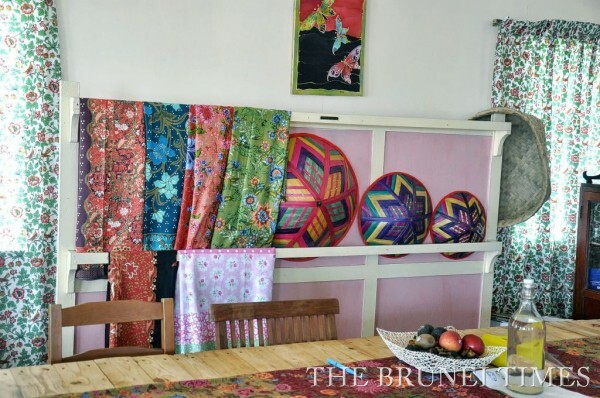 Kem, as she is fondly called, established her homestay in May 2015 as a window for tourists to experience Bruneian lifestyle at a fraction of the cost of a hotel stay. It was not easy for this budding entrepreneur to hit the ground running. The house, originally owned by her grandfather and handed to her uncle in late 2014, had at least 21 holes in its roof. It had been abandoned for two years before Kem spent a handsome amount to get it back in shape. She had to renovate 70 per cent of the house which now brims with life, with every corner showcasing a fusion of past and contemporary. Foreign tourists speak for the success of Kem’s bed-and-breakfast lodge with return visits. Many of them willingly do the marketing for her, with rave recommendations on popular travel websites. The homestay has logged about 500 local and foreign tourists in less than a year of operation. It is safe to credit the success to her work experience in the corporate world, including years as a flight stewardess and in the hotel industry. Kem’s travels to more than a dozen countries over the years also taught her how to manage the venture. But when she ponders the question on what brings about this success, two things emerge: independence and skill set. She developed her sense of independence early on in life, shaped by the father who was devoted to the nation’s military service. His work often took him away from the household, and his absence taught Kem to become self-reliant. She recalls those days riding the military school transport. In many ways, those childhood experiences, as well as those in her early adult years, instilled in her the value of integrity, leadership and of setting goals. Kem stresses on the need to have a skill and to always improve it. “Skills are very important to get your way through (success). A college degree would help but if you don’t have the skills, it will take you more time to get there,” says Kem who completed Year 11 or O-level. What gives her satisfaction from running a successful homestay is not the financial returns. 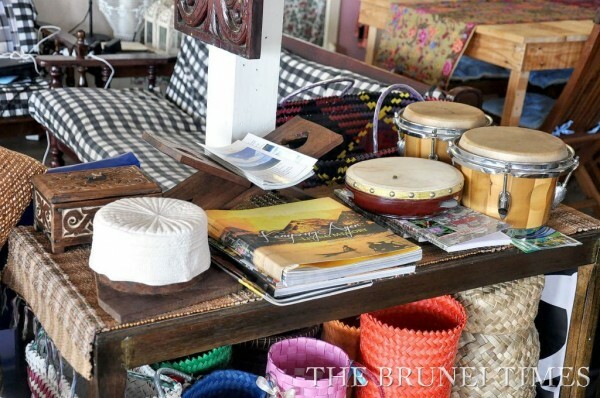 She beams when she talks about how it gives her an outlet to highlight the beauty of Brunei’s heritage in the eyes of foreign tourists who come wishing to learn about the sultanate. Kem gives her guests a free walking tour of the neighbourhood so they can get a glimpse of life in the village. 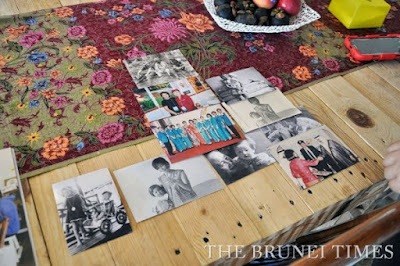 Along the way she talks to them about snippets of Brunei culture. The guided walking tour is not as physically demanding for this Bruneian who keeps herself fit by sailing, trekking to forests and climbing mountains. But it has become her fitness routine for about a year now. Running the homestay provides the chance to meet people from other countries and this enriches her knowledge and understanding of other people’s cultures. 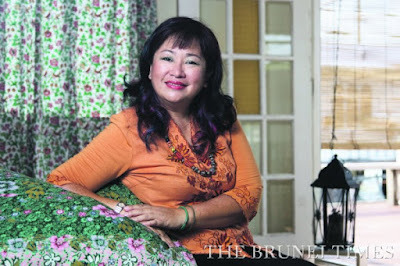 Looking back, 48-year-old Kem says she has no regrets leaving the corporate world to follow her dream.